Salesforce flow is great alternative for Visualforce pages used by admin. I have written, multiple blog post on Salesforce flow already and in this post we will discuss how we can create dependent picklist in Flow. If you are already using flow, might know that creating dependent picklist is not supported yet. However we will be taking help of Custom Metadata types to create same behaviour in Salesforce flow. Why Custom Metadata Type ? In Summer 15, Salesforce has introduced Custom metadata types on platform. We can use Custom metadata types in place of List Custom settings because of one important benefit “deployment”. Custom Setting and Custom label has always been best friend of developers and admin for a long time to make Salesforce applications more configurable and dynamic. When I say “deployment”, whenever we deploy custom setting between sandboxes and production or distribute packages, records inside custom settings are not moved. We need to take help of API’s or Dataloader to load initial data in Custom setting after deployment. However with Custom metadata type , records are also moved. Setting up Custom metadata type is fairly simple and almost equivalent to List custom setting. In this blog, we will create dependent picklist of three level. “Country” will be selected and on basis of it, “State” would be displayed and on basis of “state”, “city” would be displayed. 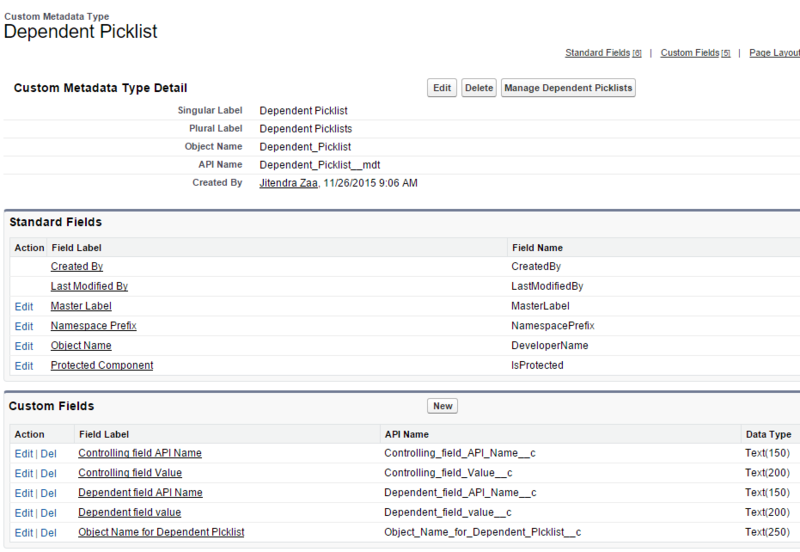 Dependent picklists is displayed on same page in standard user interface however in Flow, it would not be possible. 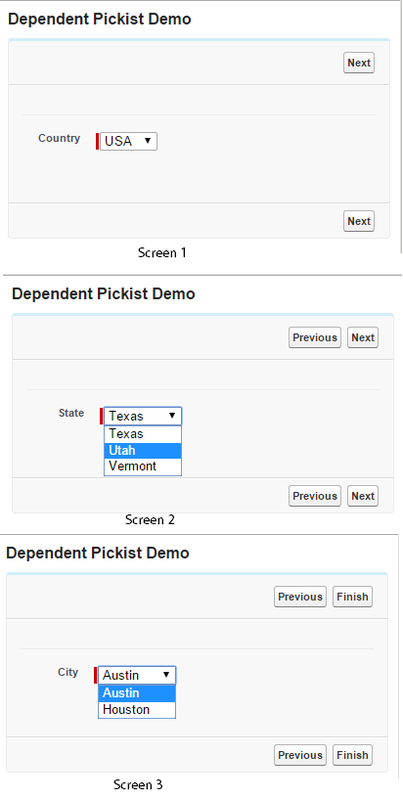 For each dependent picklist, we need to have one screen and therefore in our example, we will have total three screens. In above image, if we see first record “Trail__c” represents API name of Object on which we are going to create dependent picklist. “Country__c” is API name of field which will control values in dependent picklist. “State__c” is API name of dependent field. “Texas” is value, which would appear when “USA” is selected. Now, lets start creating Flow by navigating to “Setup | Build | Create | Workflow & Approvals | Flows | New Flow”. Drag “Screen” component from left to flow canvas. As, this is going to be first controlling field, so we don’t need any extra step here. Simply add “Dropdown List” on screen and in choice settings, choose “Create New | Picklist choice”. Above setting will populate dropdown field with all options of field “Country__c” from object “Trail__c”. Lets create two variables first. “varState” to store selected state in dropdown field and “varCity” to store selected city. We don’t need any variable for country because its type is not “Dynamic Record Choice”. Its time to create a second screen for dependent picklist. This screen will show State of Country selected in previous screen. 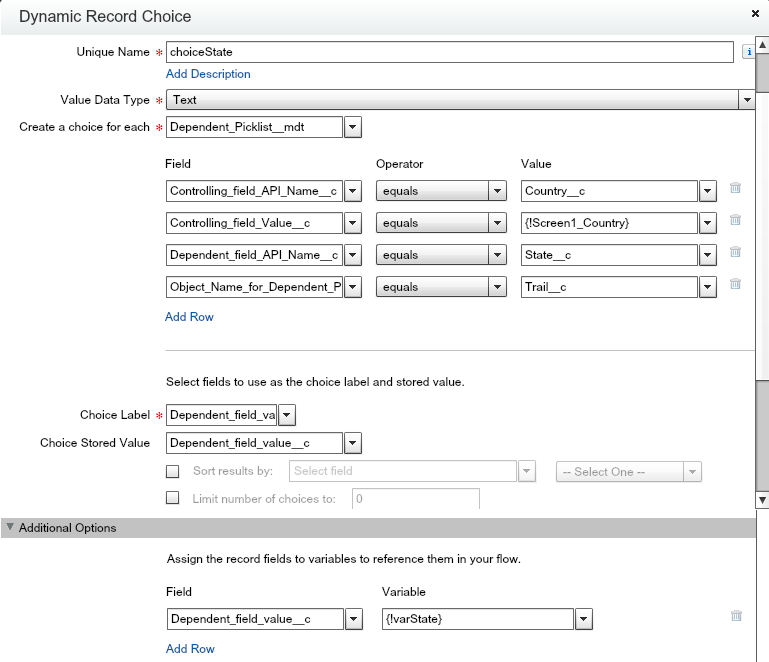 Drag a dropdown list field on screen two and in choice settings, choose “Create New | Dynamic Record Choice”. Above screen is self explanatory and very simple. Now, we will move to create last screen which will display “city” on basis of “state” selected in previous screen. Drag a dropdown list field on third screen and in choice settings, choose “Create New | Dynamic Record Choice”. Hope this will help, would appreciate your feedback on this post. Great Post! Excellent way to get around the dependant picklists. Question though, for the Custom Metadata type everytime a new picklist is added will you need to update this dependancy? 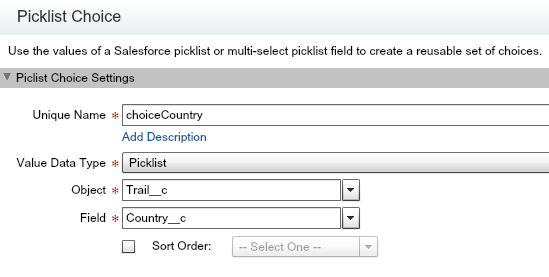 Also, it still feels strange salesforce hasn’t supported the standard picklist dependency into flows yet. Thats right, Salesforce recently started supported even picklist. If we add any dependency then we need to keep Metadata Type updated. Hi Jitendra, I have situation where the dependency is with multiple levels. Say I have level 1, 2 and 3 picklists. Level 2 is dependent on level 1 ( this was easy) The next was, level 3 is dependent on level 2 and level 1. Does this solution help me set that up? Yes this solution should help. However you will need new screen for each dependency. Hey Jitendra, for the multi-level dependency I had to create two separate Custom Metadata objects for each level, to avoid duplication of drop down values. Did you have another idea in mind for this? Hi Jitendra…Thanks for sharing this post! 1.Since different screens need to be used for different picklists…I was thinking to add user selected values to be displayed in subsequent screens as a read only textbox. Ex: There are screen 1-6. Screen 2 should display screen1 selection as readonly on top of picklist in screen2 and so on!! I am able to display them in text boxes but they are not read only.Can you help me out with that? I can always use validation rules but its not a good user experience!! In this case , if you select Segment – Corp, you will find two same values for System – IPC and IPC again!! Is there a way to restrict it? 2.Thirdly . I have 200+ records with multiple dependencies. Instead of manually creating records in Custom Metadata Type object , is there a way to mass load data in mdt? 1. Use a variable to store value selected in previous screen and simply display variable on screen. It would be readonly. Thanks for the post! 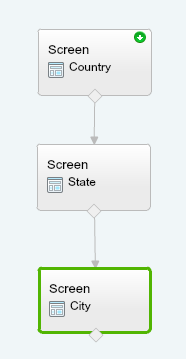 I’m trying to set up my flow based on your tutorial and for Screen 2 none of my values are populating. I set up my Custom Metadata Type and it’s controlling and dependant values, and used that as my dynamic record choice shown in the 2nd screenshot. What am I doing wrong? Thanks! My flow works seamlessly now! Thanks for sharing this useful knowledge. I followed the instructions and everything works good except for the fact that when I try to login to one of my users and use the button I get error of insufficient privileges. I was wondering if this is because I need to give any permissions to the custom metadata type object to all of my users. Do you know if this is needed? I found the problem.. Flow User field on the user level has to be checked. Does anyone here know if the permissions user has are honored by the visual workflow? Thanks for the video, it was very helpful. I have a problem while working on my dependent pick list MDT. 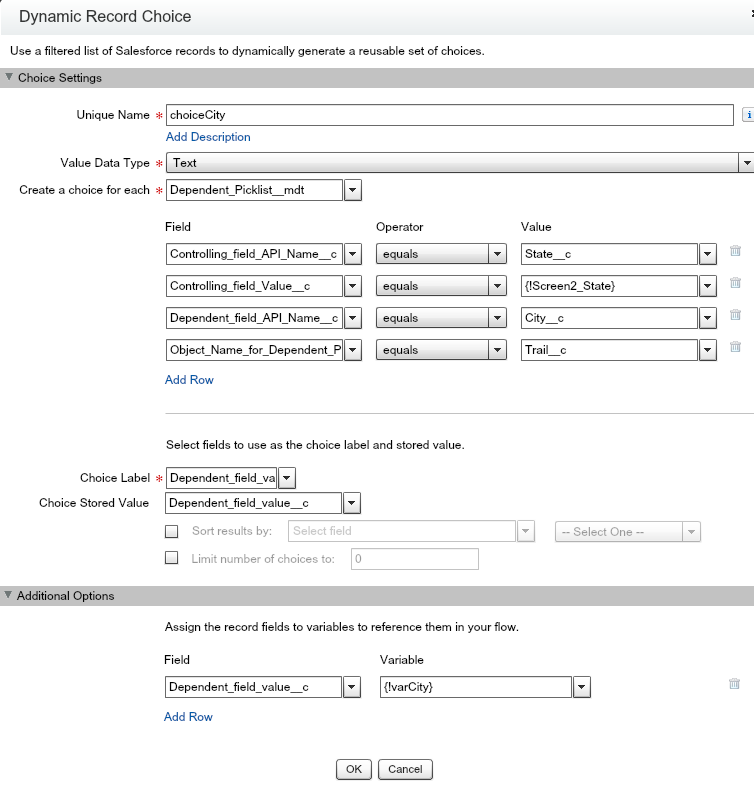 I have 2 Controlling fields “Administration” and “Change My Access/User Records” and the dependent pick list values assigned accordingly in custom metadata. I followed the steps and created the dynamic record choice. The problem is, the picklist is only showing dependent values for “Administration” and it is showing “None” if I select “Change My Access/User Records” . Am I doing something wrong or is there a catch which I am unable to follow. @Jitendra, I followed your steps, I am unable to see the Custom Metadata Type under “Dynamic Record Choice” > “Create a choice for each”.